This is a 1964 aerial photo of the historic Near North Side neighborhood. A number of landmarks and streets are marked for reference. With the first houses in this neighborhood emerging in the decade after Omaha was settled, the Near North Side is one of the city’s oldest neighborhoods. Because of its 150+ year history, it has almost seen some of the most dramatic changes in Omaha history. Early settlers in the Near North Side included Germans, English, Irish, Canadians, and Swedes. Spanning from Omaha’s North Downtown neighborhood boundary at Nicholas north to Locust, the Near North Side spans from Highway 75 on the west to the cliffs on the east next to North 16th. There are several neighborhoods today that identify their space within the Near North Side, including Conestoga Place, the Long School Neighborhood, and others. Note that the Near North Side used to start at Cuming, but that area has been re-aligned with the North Downtown Omaha redevelopment. The first homes in the Near North Side belonged to wealthy businessmen who dotted their country estates around the area. They generally built large mansions in a variety of styles, including Queen Anne, Italianate, Gothic and Eastlake, When they moved out, early developers built houses all the way around the outskirts of their land, and then filled them in. That’s the reason why this neighborhood has a lot of odd-sized rectangular blocks. Still in this area are historic “shotgun houses” from the 1870s, along with industrial buildings from the 1880s. The first Storz Brewery, pictured in 1886. It was located at N. 18th and Burdette Streets until the 1890s, when Gottlieb Storz built a new facility on N. 16th Street. A lot of early businesses in Omaha got their start in the Near North Side. One of the largest was the Storz Brewery Company, which started at the northeast corner of North 18th and Burdette Streets in 1886. After moving to North 16th, they became a major player in the regional beer market until the 1970s, when the brewery was permanently closed. In 1913, a major tornado destroyed much of this neighborhood. The Jewish Old Folks Home once located in Omaha’s Near North Side neighborhood. Starting in the 1870s, Omaha’s Jewish community was established and gained a foothold in this neighborhood. By 1920, the area was renowned for its Jewish residents owning the majority of businesses and commercial buildings in the area. There were several synagogues and other Jewish institutions located in North Omaha, too, and after 1910, an area was even called Little Russia for the number of Russian Jews who moved there. Homes throughout the area were used by Jewish families, hosting religious gatherings and spiritual activities for the entire history of the neighborhood through the 1960s. There were many Jewish businesses in the Near Northside, too, as kosher meats, fish and poultry were important, as well as groceries, clothing and shoe stores, hardware, furniture, and more were needed by everyone living there. That’s right – Ak-Sar-Ben was started in the Near North Side! The Near North Side became a bastion of working class and middle class stability starting at the turn of the century. Schools and churches of all kinds filled the neighborhood, with the convenience of urban living benefiting everyone. 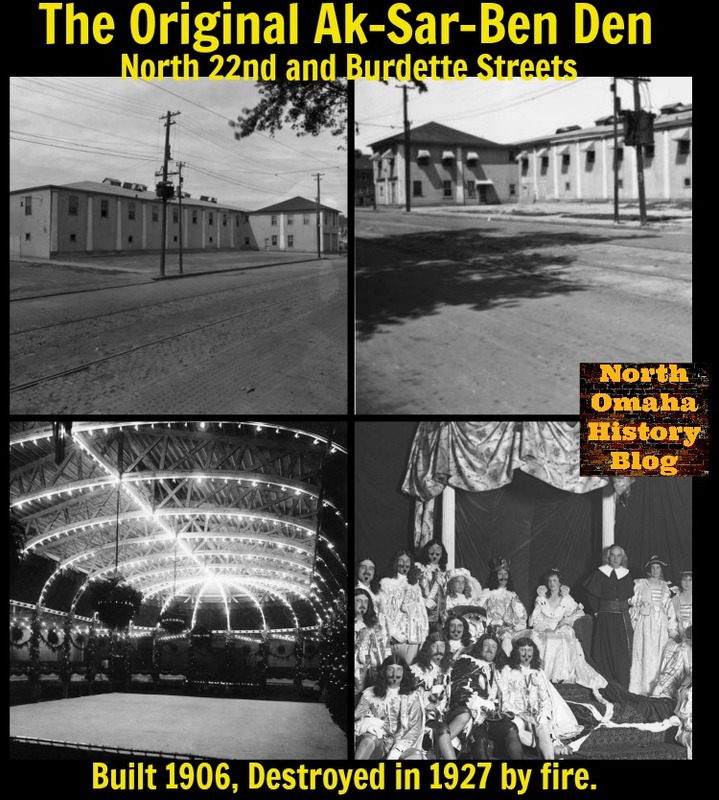 North 24th became wildly popular, and all of the businesses along the strip grew in stature and success from 1900 through 1929, and even beyond. The Knights of Ak-Sar-Ben, Omaha’s premier philanthropic and social organization, was founded in North Omaha in 1895. Its roots in the Near North Side shown through the construction of the first Ak-Sar-Ben Den at 2221 North 20th Street in 1906. Ak-Sar-Ben built upper class bonds of business, family and community that continue driving the entire city of Omaha to this day. However, their Den didn’t last: in 1927, a conspicuously advantageous fire burnt the building to the ground. It was conspicuous because it allowed the organization to built its new facility on a huge slice of land in west Omaha starting the same year. Churches continued growing in the Near North Side during this era, too. The Salem Baptist Church congregation moved; St. John’s A.M.E. built a fascinatingly beautiful building starting in this era; and many other congregations steadied during this time. The Near North Side was a stable, warm and strong neighborhood for nearly two decades, until a conspiratorial calamity blasted the area with contempt and hatred. 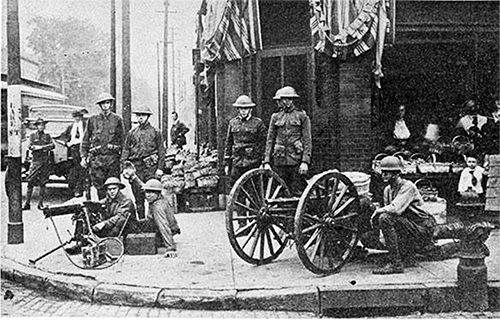 US Army soldiers from Fort Omaha were called in to protect the Near North Side neighborhood in 1919. In the 1920s, white flight started to take hold of the neighborhood as African Americans were redlined there after the Red Summer of 1919. After the lynching of Will Brown in downtown Omaha, white mobs moved north to attack African Americans in the Near North Side neighborhood. They were met there by US Army soldiers from Fort Omaha, who drew a line around the neighborhood and told African Americans if they stayed inside those lines they would be protected. Those lines became entrenched when city leaders, real estates agents, bankers, and insurance agents colluded to keep African Americans within them. This was called redlining. In short order, many white people fled north and west out of the Near North Side. The quality of the neighborhood quickly deteriorated as the City of Omaha strategically underserved the infrastructure there. They indifferently bulldozed high quality homes and apartments for the next 75 years, and discouraged white people from investing in the area in a variety of ways. Through silent complicity, they continue allowing bad homeowners in the area. The quality of schools, businesses, parks, and other civic infrastructure deteriorated. 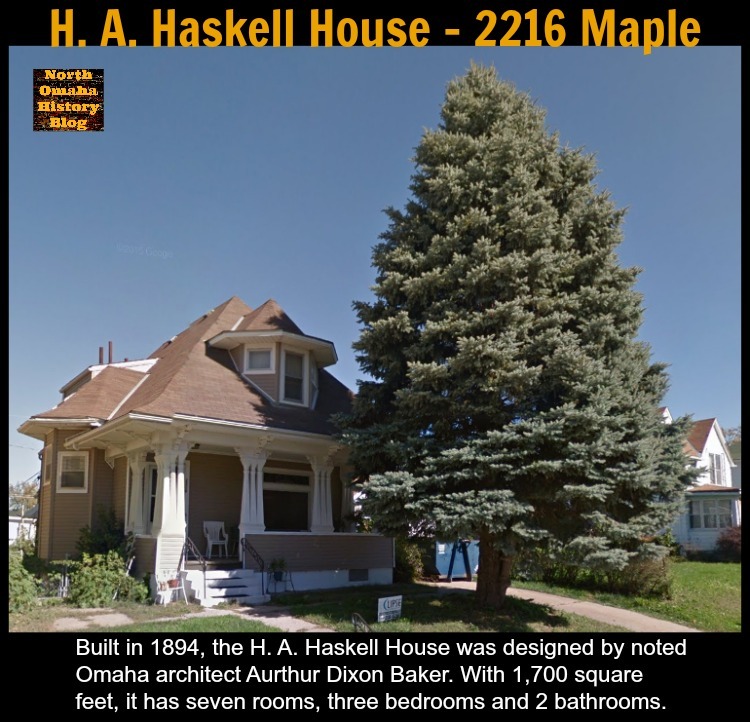 The H. A. Haskell House at 2216 Maple Street in the Near North Side. The federal government built a low-income housing project in the Near North Side neighborhood in 1937, and doubled its size the next year. For the next 50 years, the Logan Fontenelle Housing Projects held many African Americans in a cycle of poverty and depression that was hard to break. Omaha’s white population apparently couldn’t continue its interest in the neighborhood. Industries, businesses, and other institutions that helped white people thrive in the Near North Side community began divesting from the neighborhood. Several hospitals closed by the 1940s, while the University of Omaha moved away in 1937. Industries that had allowed some African Americans to establish a foothold in the middle class became harder to access when streetcar service slowed in the 1950s. 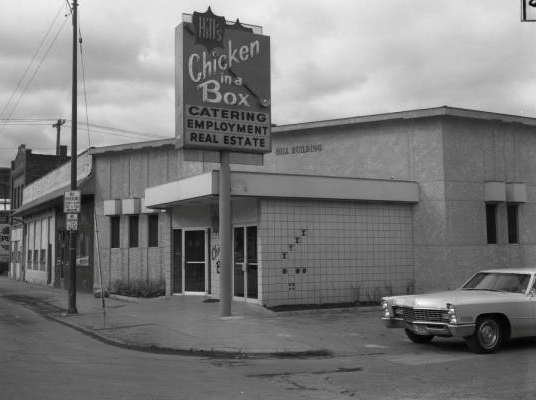 Hill’s Chicken in a Box, a Near North Side institution, offered a variety of other services including catering, employment, rentals and real estate at 2324 North 24th Street. A mini-golf course along N. 24th in the 1950s. 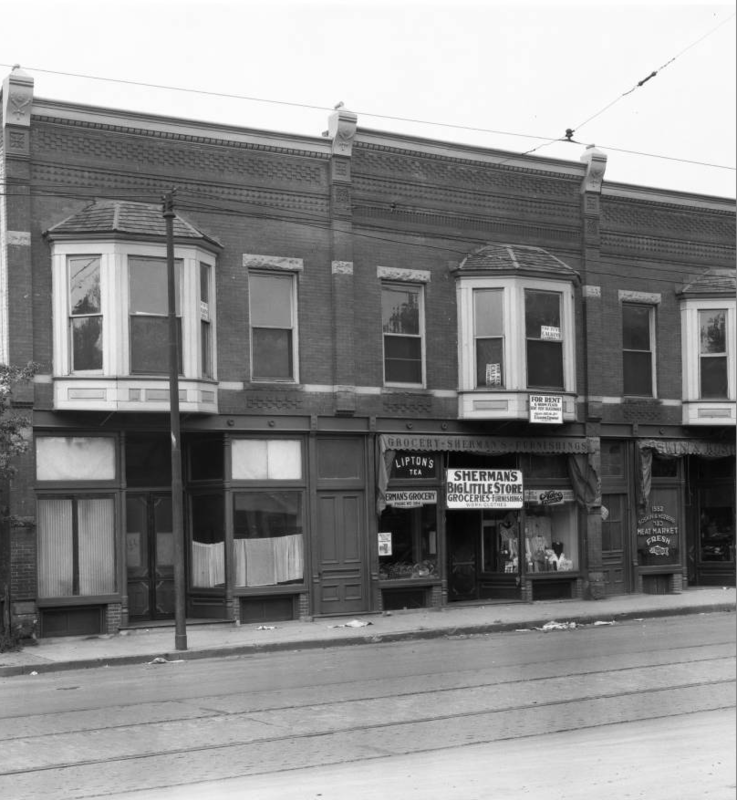 Starting in the 1920s, the African American community flourished in the Near North Side neighborhood. Developing black-owned businesses, black churches, black social clubs and other community infrastructure, the Near North Side reflected the energy and vitality of the Harlem Renaissance happening 1,500 miles away. The Near North Side’s African American culture had many touch points, including the popular Carnation Ballroom, Jim Bell’s Club Harlem, the famous Dreamland Ballroom and others. Between these North Omaha institutions, generations of famous performers played, including Duke Ellington, Ella Fitzgerald, Count Basie, Louis Armstrong, Lionel Hampton, and a young James Brown. One of the great writers of the Harlem Renaissance, Wallace Thurman, grew up in the Near North Side, along with jazz legend Preston Love, political leader George Wells Parker and military hero Alfonza Davis. Omaha’s strong civil rights movement began emerging in the 1920s with the rise of Black Nationalism in the area. Malcolm X’s father was a minister in North Omaha, and an advocate of Marcus Garvey’s work. His involvement led to Omaha’s KKK to firebomb young Malcolm’s home, forcing the family to flee the area. In the 1940s, a group of white college students at Creighton University worked with African American community members through the De Porres Club. They picketed and boycotted many businesses in the Near North Side to increase the hiring of African Americans. Their successor organization, called 4CL, worked in the neighborhood to challenge discrimination and racism across the whole city. 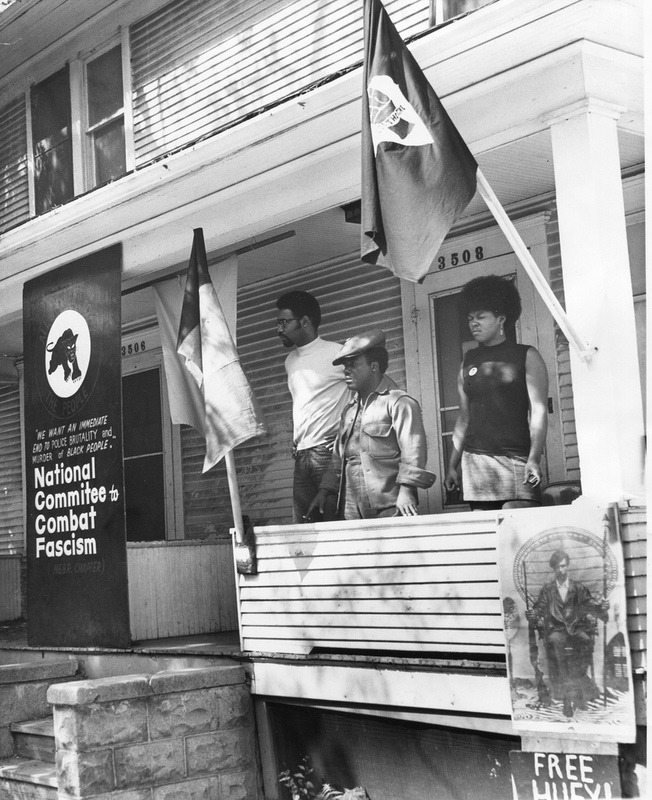 This was the headquarters of the Omaha Black Panthers. 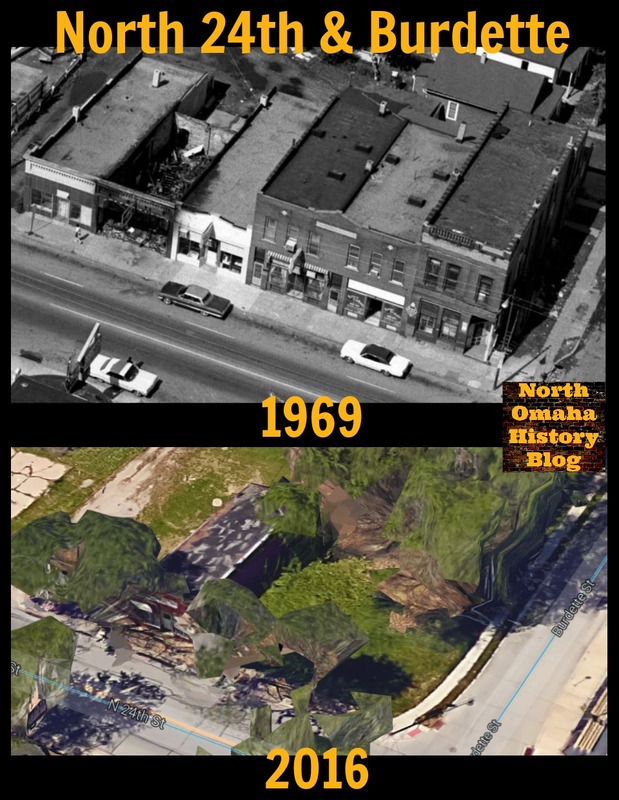 By the 1960s, the twisted fabric between white Omaha and the African American Near North Side ripped. The Civil Rights movement, although active in Omaha for 40 years, didn’t yield equality for African Americans. Instead, the City of Omaha routinely neglected to provide basic civic services for the neighborhood, and upward economic mobility had encouraged a growing number of African Americans to move from the neighborhood. Working with the federal government and the State of Nebraska, the City of Omaha also ran the North Freeway straight through the Near North Side, which once extended to North 30th Street. This divided the economic, social, religious and cultural strength of the neighborhood with a literal physical boundary that continues to affect the entire North Omaha community today. 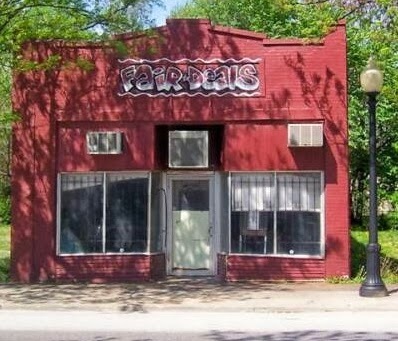 In 1954, Charlie Hall started the Fair Deal Cafe at 2114 N. 24th in the Near North Side. It become Omaha’s “Black City Hall” and stayed open for almost 50 years. At the same time, economic pressure suffocated the neighborhood. The Storz Brewery, a major employer in the community, closed in 1966. Unemployment within Omaha’s African American community was at a high point in the 1960s, when at first, overt discrimination allowed white employers to not hire people because of the color of their skin. When that became illegal, the same companies moved from northeast Omaha to west Omaha, creating a successful transportation barrier for many African Americans in the Near North Side neighborhood. The outcome of this reality was almost four years of riots in the neighborhood between 1966 and 1970. White police shot African Americans. Protesters demanding more services, rights and opportunities from the City government, as well the end to discrimination from Omaha’s white population, picketed and rallied frequently. Omaha’s Black Panther leaders were framed for an explosion that killed a police officer. Radicals arose, police abused, and peaceful gatherings turned to firebombings, beatings, looting, and a lot of other violence. Businesses fled the neighborhood during and after the riots. People moved away. The riots aren’t to blame; racism is. The top photo shows the block south of North 24th and Burdette in 1969 after the riots. The bottom Google Map screenshot shows the same blocks after 45 years of neglect and decay – and now that sole building is gone. For more than four decades after the riots, the city seemingly pursued a policy of benign neglect toward the Near North Side and much of North Omaha. Streets crumbled, business didn’t come back, schools kept underperforming. There were many tokenistic gestures during this time, including selective community forums, occasional empowerment trainings, and a few street lamps replaced on major streets. More than a few plans were made that never came to fruition. Today, there are more plans than ever. Public announcements and private investments are being hinted at, and some people feel positive about the future. As the North Downtown area continues to be invested in with new developments and its historic properties rehabilitated, there’s a sense that prosperity has to creep northwards next, positively affecting the Near North Side neighborhood. 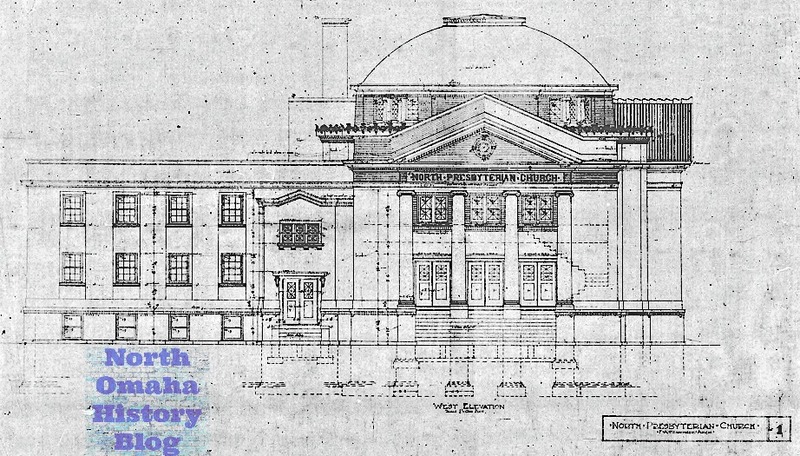 Suggestions about the redevelopment of the Webster Telephone Building sound plausible, and the creation of a 24th and Lake Historic District seems imminent. 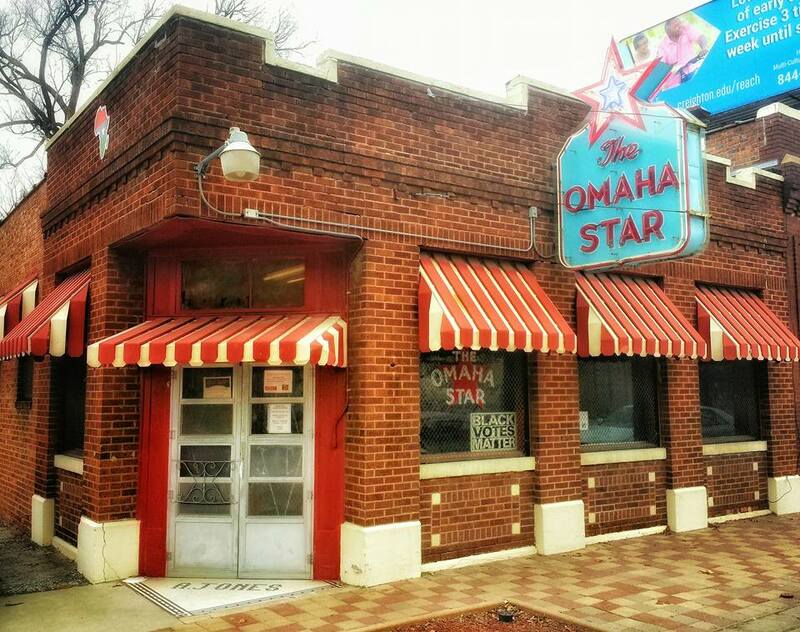 The most important newspaper in North Omaha history, the Omaha Star has been housed in the Near North Side since its establishment in the 1930s. However, a lot of residents seem to believe its more of the same. Burnt out from decades of seemingly false optimism, some folks decry every positive news announcement about the neighborhood as a farce. They’re used to seeing their same neighborhood blasted as violent, gang-ridden and drug-filled by the same news sources. If you believe everything the internet says, it seems like the rest of the city agrees with them, both white and black. Built as the North Presbyterian Church, today 3105 North 24th is the Church of Jesus Christ Whole Truth. 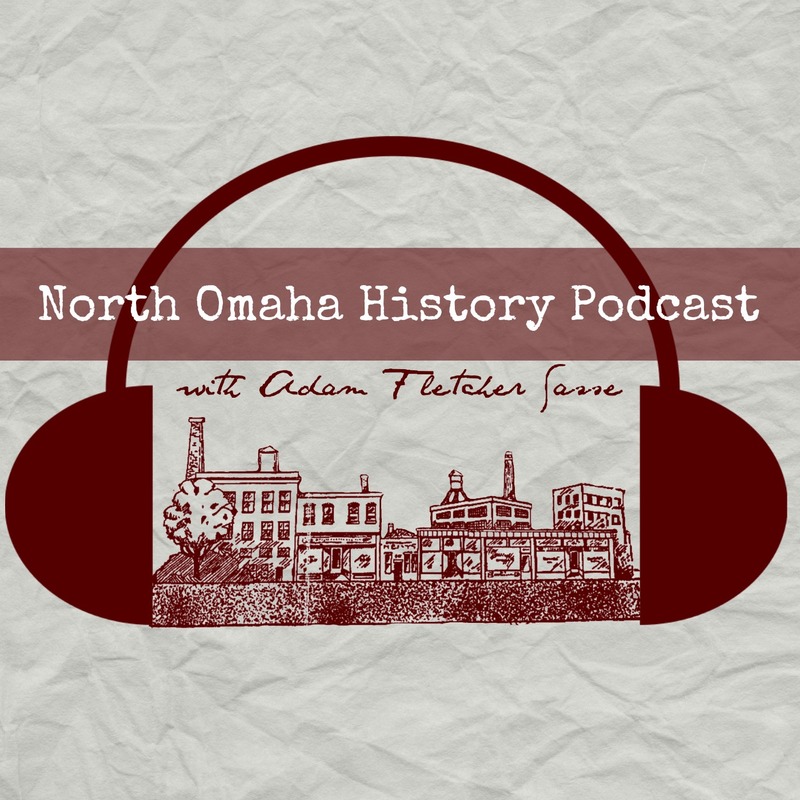 Omaha’s Near North Side History Map by Adam Fletcher Sasse for the North Omaha History Blog. 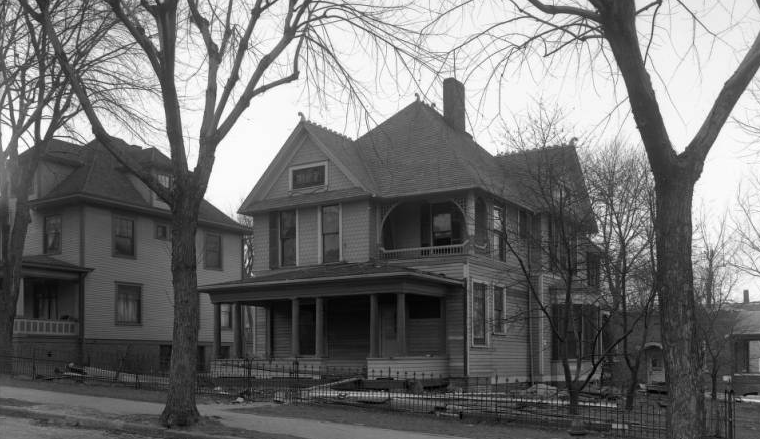 The following are landmarks listed on either the National Register of Historic Places or designated as Omaha Landmarks in Omaha’s Near North Side neighborhood. 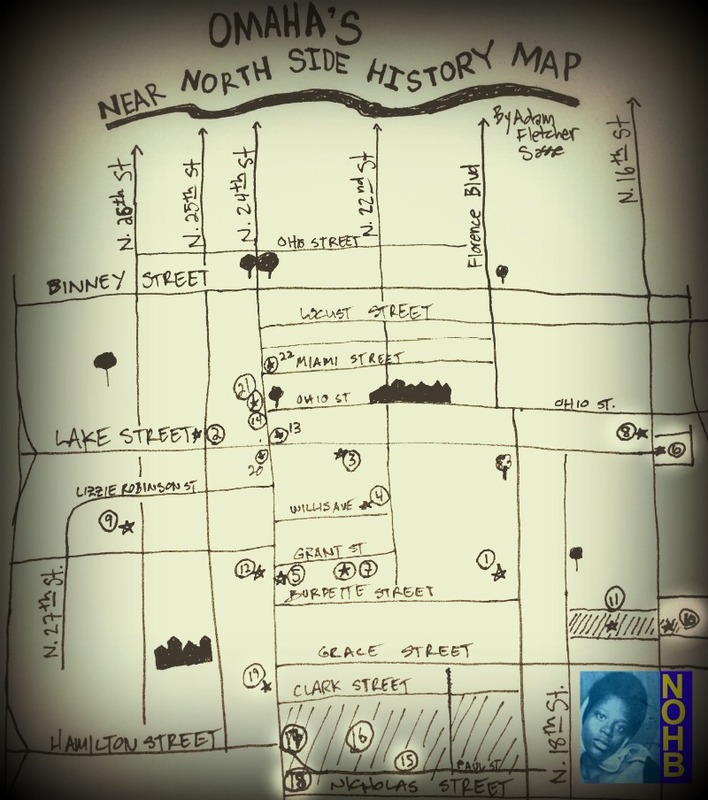 This is also the key to my map of the Near North Side’s historic places map. Logan Fontenelle Housing Projects built from 1938 through 1941 between N. 24th and Florence Blvd, from Paul to Clark Streets. The site of the Diamond Moving Picture Theatre at 2400 Lake, destroyed by the 1913 tornado. 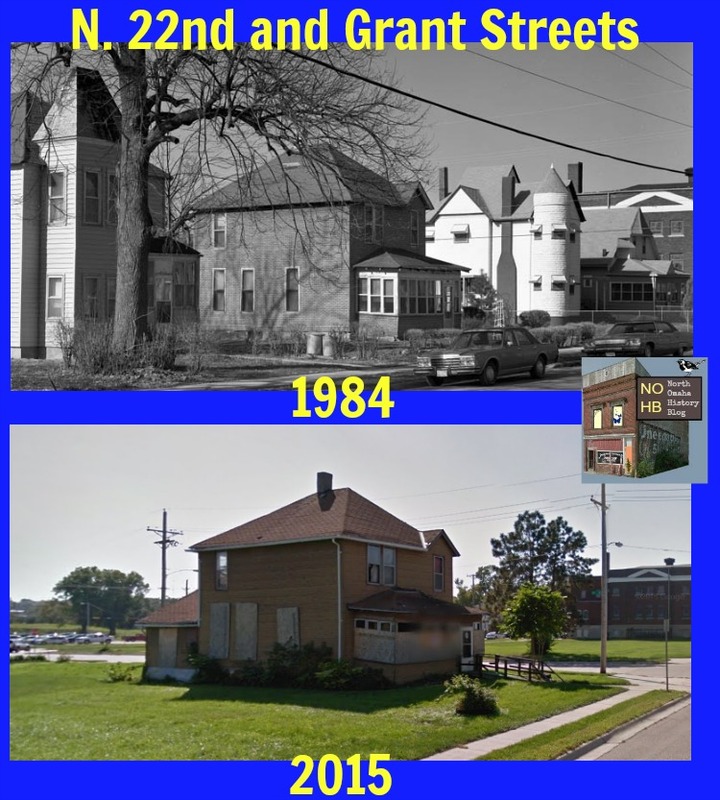 A comparison between North 22nd and Grant Streets in the Near North Side in 1984 and 2015. The Sherman Grocery on North 20th Street in the Near North Side. 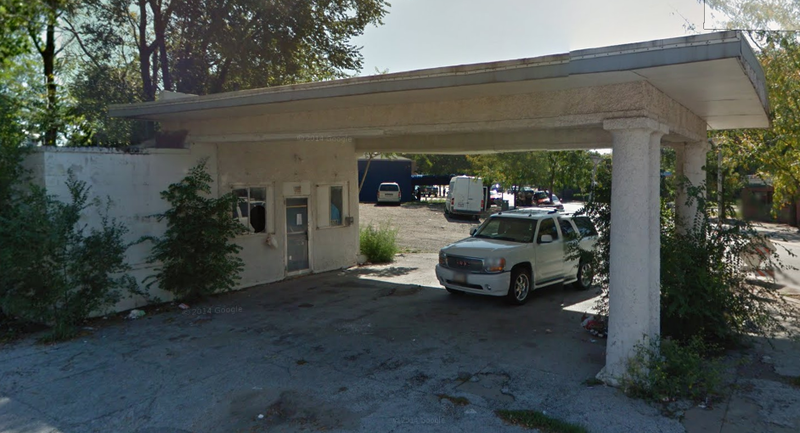 A historic gas station at North 24th and Willis Streets in the Near North Side neighborhood. 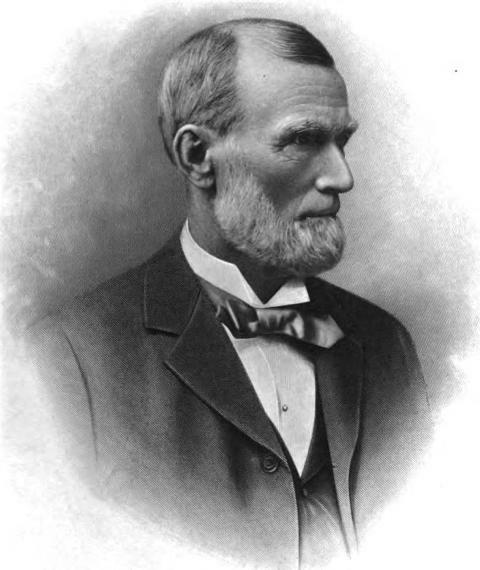 Judge George B. Lake is the namesake of the Near North Side neighborhood’s Lake Street. 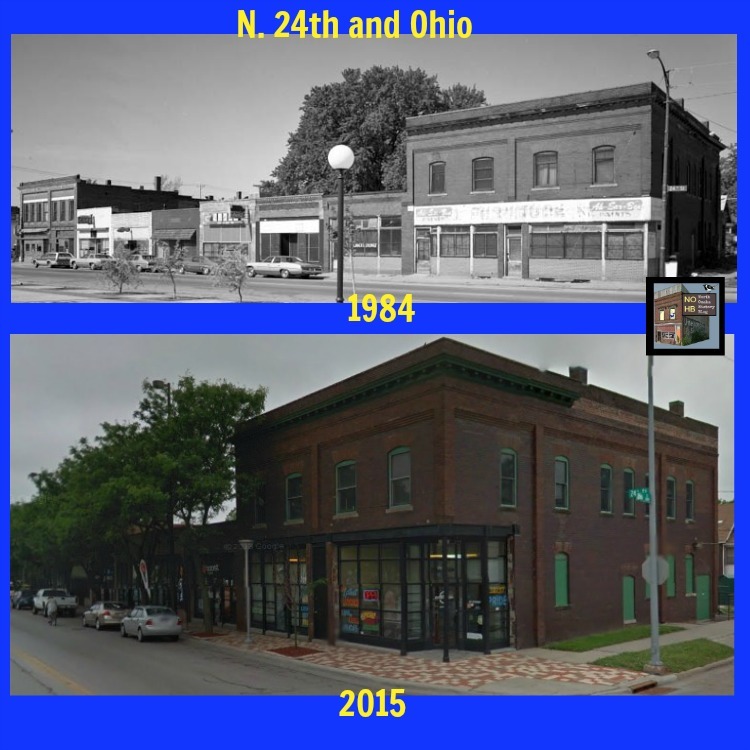 This is North 24th and Ohio in the Near North Side in 1984 and 2015. 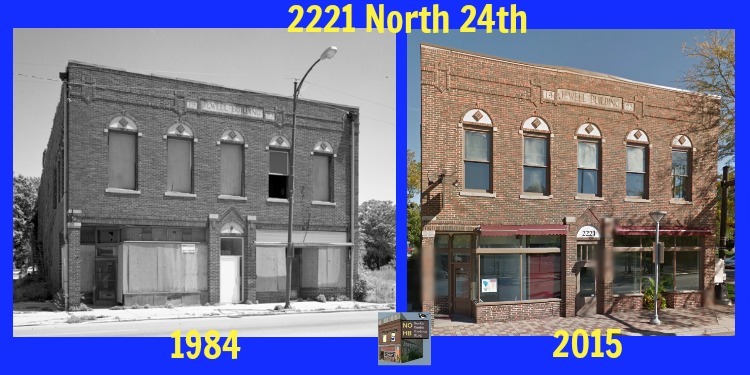 This is 2221 North 24th Street, aka the Jewel Building, in 1984 and 2015. The Safeway at North 24th and Lake Streets closed in 1969, leaving the neighborhood without its own grocery store for more than 45 years. Built as the Matburn Apartments, these apartments became known as the Burdette Apartments. They were demolished in 1970. Do you have any additions, questions, concerns or considerations? Leave them in the comments section below!